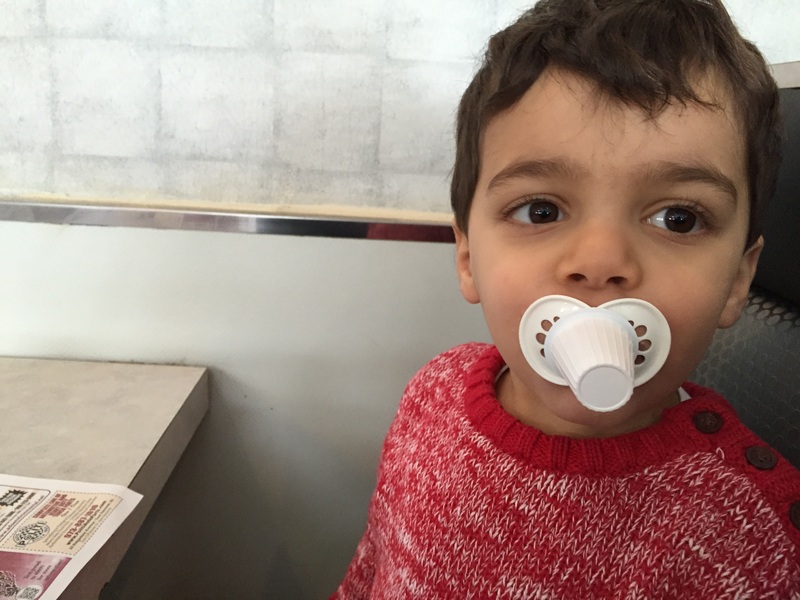 My 3-year-old son still uses a pacifier. I suppose there is a chance that by allowing this behavior I am turning him into a sociopath and dramatically lowering his chances of gaining early admission to an Ivy League school, but there you have it. … in which case, you have other things to worry about. But what about his teeth? Isn’t it going to cost us gazillions in orthodontia? Maybe. We are going for his first dental checkup on Friday, so I’m sure we’ll hear all about it. My plan is to take away the pacifier if the dentist tells us to—a plan that really irritates my husband, who has been suggesting that we get rid of it for the last year. But, given my history of rejecting his opinion in favor of virtually anyone else’s, on topics ranging from movie recommendations to the coolness of my new shoes, this should not surprise him in the least. 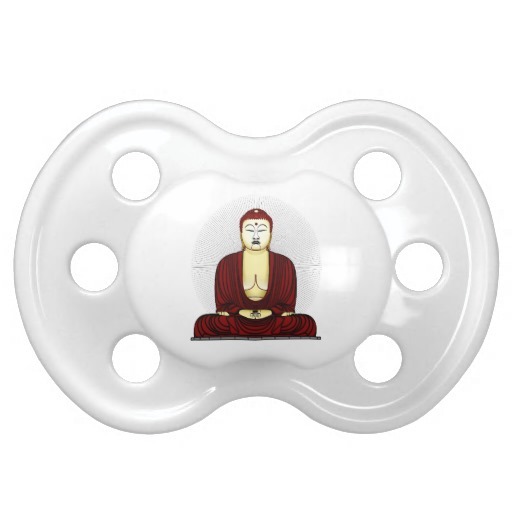 Binky, bobo, paci, dummy – parents and their offspring have created countless nicknames for the pacifier over the centuries. Our son calls his a “booda,” a name he made up himself. (Translation: He’s SO clever, isn’t he??) We spell it b-o-o-d-a, though for all we know he might be referring to the actual Buddha. Maybe our kid is some kind of mystic, or a protagonist in a J.D. Salinger story, and taking it away would wreak havoc with the cosmic balance. Maybe, given the booda’s possibly religious significance, we should take the time to give it a worthy sendoff, like burning it atop a pyre and setting it adrift in the Ganges, or hurling it into the mouth of an active volcano during a new moon, or shooting it into space. Why don’t we have this?? Maybe I am simply hesitant to sacrifice the precious hour or two my husband and I share together each evening before we lose consciousness on the couch. In short, if peace in the kingdom depends upon the prince having his booda, then the prince shall have his booda! I mean, it’s pretty much on the way out already. Can’t we just let it phase out naturally? He is not allowed to have it at daycare, and peer pressure is quickly curbing his desire to use it in other social situations. During a visit to the library a few months ago, a little girl pointed at him and asked loudly (and, I thought, rather rudely), “Why is that boy using a binky?” and he immediately plucked it out of his mouth and hid it behind his back. He hasn’t brought it into the library since, and now he asks to leave it in the car during play dates and other encounters with his friends. It is a harbinger of things to come – his peers will have more of an influence on him than his father and I do. So why not just sit back and let that magic start working for us now? The whole thing reminds me of quitting smoking, which is also maybe why I find it so unpleasant. A pacifier is basically a cigarette for babies, minus the carcinogens. Our son often keeps his next to his plate at the dinner table, kind of like that chain-smoking uncle who used to keep a cigarette burning in the ashtray during meals. And the other day, when we accidentally left the house without one, I could see that he was seriously jonesing. He kept asking me to check in my bag to make sure I didn’t by chance have one in there – like when I used to obsessively dig around in my purses and coat pockets as if I would suddenly find a cigarette that I had somehow, magically forgotten about. I felt his pain. 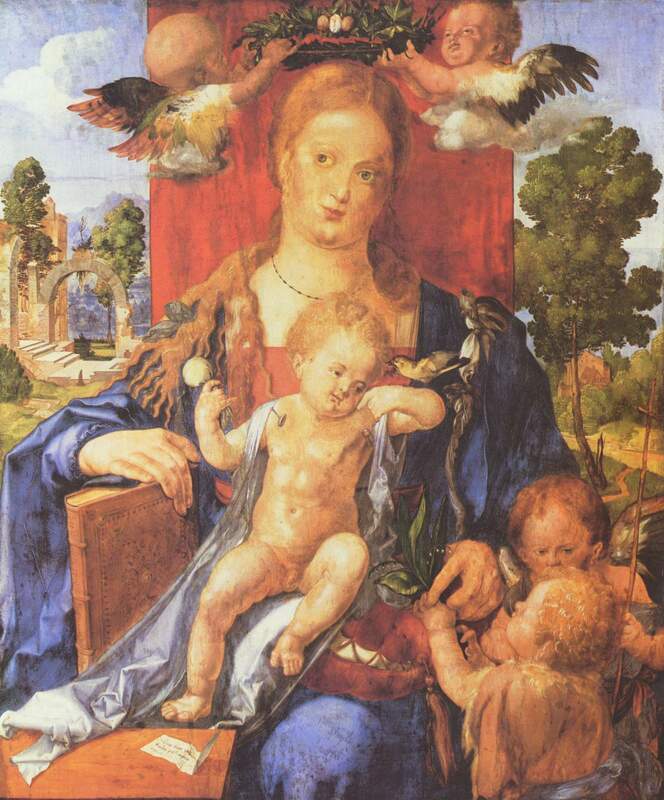 As I write this, I occasionally pause to plug my 5-month-old’s mouth with a little rubber Soothie in order to buy myself another minute or two to finish a thought. The irony is not lost on me. I suppose I might as well settle in and get used to watching my kids struggle their own way toward personal growth. Sigh. And in the meantime my husband and I will place bets on which will come first: giving up the the booda or pooping in the potty. Or maybe our kid will be the first college freshman in history to go off to school with a pacifier and diapers.